Charnwood College defeat IBA Copleston Sixth Form, 63-30 in the WEABL Semi-Finals on Wednesday. It was the North #1 vs South Number #2 in a clash of the first Final Four game at Charnwood. The atmosphere was electric with both teams having there own student section of supports and a high level contest with a lot of talent on the floor for both teams. The game tipped off with a high intensity first quarter which saw Charnwood take a small 13-10 lead. Charnwood would have 6 different scorers and Copleston supported by good shooting from Cameron Taylor-Willis. The second was more of the same, with both teams going back and forth and some timely scores by Willis and Bellis kept the pressure on Charnwood. Some good shooting from Kershaw and 10 points from Winterburn then saw Charnwood go into the half time with a 7 point lead. However, the second half was a different affair, as some good shooting again from Kelshaw and Winterburn saw Charnwood increase the gap whilst Wright, Threlfall and Dawson made some impressive scores. Copleston struggled to score in the second which increased the pressure on the team from the south, however, they kept battling till the end. Unfortunately a 34-8 second half led to the South #2 being knocked out of this year Final Four. “The win today is down to excellent preparation, great support from our programme and each of our commitments to get better over our two years. Ipswich gave us a game, but now it’s time to finish what we started last year and win Championship in Essex,” said Charnwood’s Holly Winterburn. 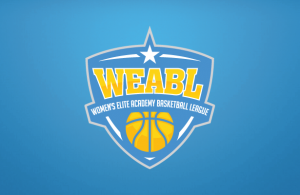 For Charnwood, this is now there 4th consecutive return to the WEABL Finals, where they will face CoLA on April 3 in a repeat of the 2016-2017 Finals.